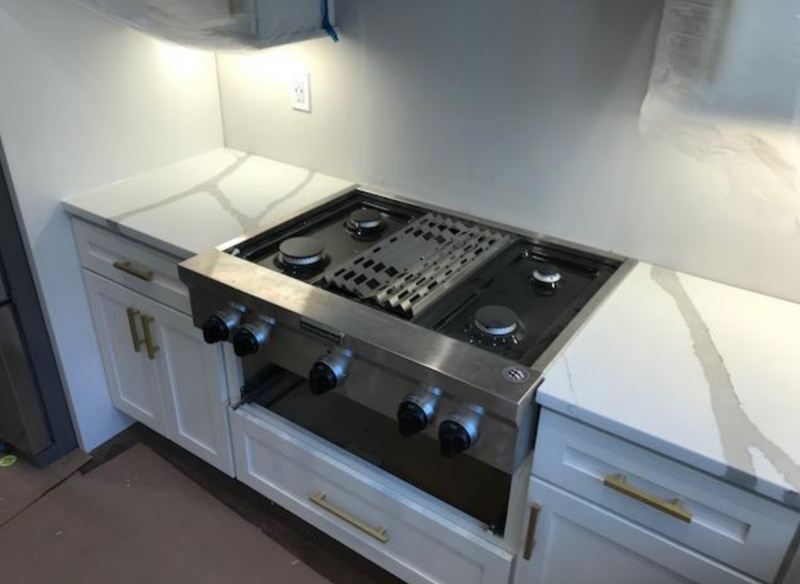 Thinking about getting marble counters but afraid of the maintenance? Look no further! 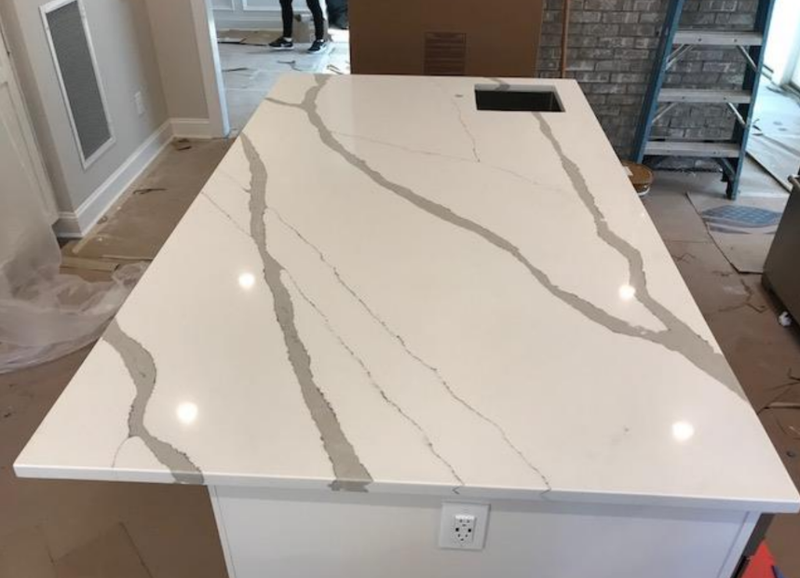 We just installed these beautiful Alleanza Quartz countertops which are made to replicate the stunning appearance of Arabascato Marble. 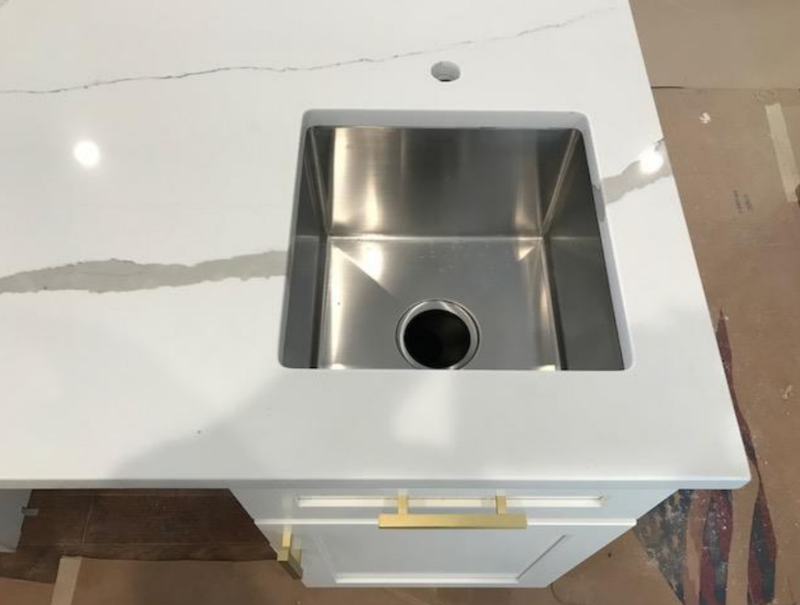 If you're a bit messy in the kitchen and want to maintain a pristine surface, you should consider quartz as an option for your counters. Quartz is easy to clean and hard to stain due to its non-porous surface. We offer all colors and styles of Alleana Quartz as well as many other brands to suit your style. Our showroom is located at 166 2nd Ave. Gowanus, Brooklyn. Please call ahead to schedule an appointment.